Call to order upon the United Nations, United States Congress, The US House of Representatives, The Speaker of the House, the Public of the United States of America and the World citizens to repeal the laws based around Hemp and Marijuana. The time is now for us to focus on our global need for a renewable resource of energy, food, fiber and medicine. Industrial Hemp and Medical Marijuana are the answers that have been starring us in the face for thousands of years. Our only real true hope for regenerating our ozone and global atmosphere and cleaning our air is to stop our use of fossil fuels and natural gas. Yes we have the technology already in use and we are growing towards this goal but as a global society that requires clean air and water to exist we must now start growing surplus materials through the cultivation and rotation cultivation of industrial hemp. Water Desalination and Zero Point Energy must also be addressed in the efforts to help farmers and our civilizations continue to grow and aspire to recreating A Oneness of Mankind. As a strong believer in the Oneness of Mankind I feel that most religions try to convert you to their religion because they believe their god is the only true god but if god is an almighty and powerful creator of the universe, tell me why has he not spoken to more than one person at a time in all of recorded history? It seems to me that 50% of the world is afraid of death and are unsure of the afterlife and are seeking some sort of closure. War is not the answer! What everyone needs to reflect on is that we are alive and should be thankful to be able to exist on this planet. Organized religion creates hatred and war. Freedom of religion is fine as long as it holds true to good morals and judgement. Just imagine if the entire civilization of this planet never had a belief system where one human is better than the next! Then and only then will we as a species be able to prosper and live in harmony as one with nature and the universe. * I WILL AMEND TAX LAWS based on a sliding scale with caps for each bracket. * I WILL AMEND PATENTS that benefit the future of ALL MANKIND. Why should we all be slaves when our MOTHER EARTH could be HEAVEN FOR ALL CREATURES? * I WILL AMEND RENT as a security platform for renters to build equity after 3 MONTHS with a 3 year rental or lease to own agreement. This act alone will re-instate our countries confidence in building for a better future. * I WILL END GMO's, Hemp will replace the need for Pestisides and GMO's by rejuvenating the soil. * I WILL FIX IMMIGRATION LAWS BASED ON the relations we as a nation have with their country of origin. A notable solution would be to place ALL illegal immigrants into FEMA camps within a stable region either on US SOIL or within one of our Sister Nations until proper Vetting may be established. R F I D Chips, Retinal Scans and Fingerprint Identification may serve as benefit as well. * I WILL BROADEN OUR BORDERS BY BRINGING MEXICO INTO OUR NATION. Our Mexican / Hispanic neighbors have contributed a great deal to this country. 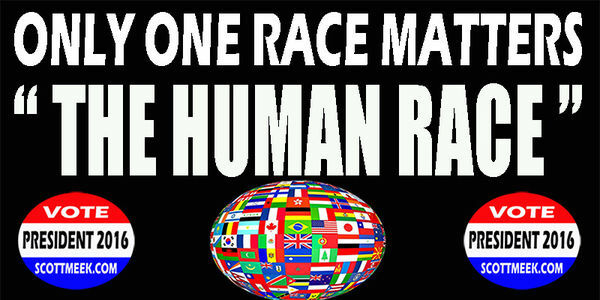 It's about time we as a civilized race end our worldly battles and strive for a more unified global society. * I WILL BUILD STRONGER MORE SELF SUSTAINABLE COMMUNITIES via HEMP, SOLAR, WATER DESALINATION AND ZERO POINT ENERGY. * I WILL FIX AND SECURE SOCIAL SECURITY, YOU PAID FOR IT !!! * I WILL AMEND HOUSEHOLD TAXES based on a universal tax code for all states. * I WILL IMPLEMENT PENSION CAPS based on household median within each region. * I WILL RE-INTRODUCE MILLITARY ALTERNATIVE TO PRISON OVERLOAD. * I WILL LOWER THE BAR FOR VETERANS SO THEY CAN GET HELP WITH FOOD AND HOUSING. Your vote is very important in securing the future of our children.